View more collections held by the SMU Archives. 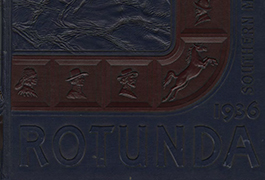 The Rotunda is Southern Methodist University’s student yearbook. Named in December 1915, the Executive Council of the Student Association voted for this evocative name after seven different students suggested it. Senior students voted to wear their cap and gowns for their portraits. The staff vowed to use only Dallas printers, engravers, and photographers. The first issue was 256 pages. Like most college annuals of its time, Rotunda included photographs of students in each class group, but focused on Seniors. Other sections included campus organizations, fraternities and sororities, sports, professors, photographs of campus, and advertisements. 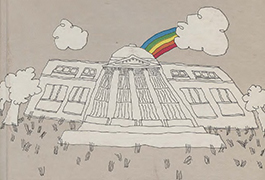 The Rotunda digital collection currently covers the years 1916 through 2012. In 1921, the Rotunda cost $5. In Fall 1921, the Rotunda was bundled as a part of the student activities fee or “blanket tax,” which also included funding for the Daily Campus, entrance to all intercollegiate games, and gymnasium privileges. That fee was $7.50 per semester. 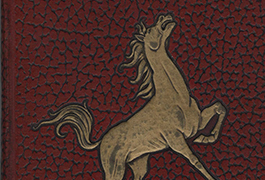 From 1916 to 1940 Saddleburr, a humor section, was featured at the back of the book. The humor section so offended SMU President Selecman in 1927 that he ordered all copies of the Rotunda confiscated to have an offending page cut out of the book. From 1916 through 1983, the Rotunda included a “Campus Beauties” section that had photos of the prettiest girls on campus. Some years, the women were selected by special elections. In 1952, celebrities Dean Martin and Jerry Lewis selected the lovely ladies. The Rotunda followed larger national trends—both in design and content. 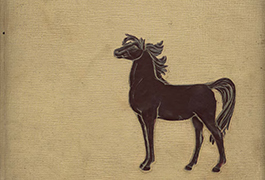 In the earliest days, much of the artwork were illustrations, often drawn by students. As the price of photography went down—and printing processes changed, photography overtook illustrations. Individual portraits were, of course, always photographs. There was a hierarchy of picture size, with Seniors having larger images than anyone else. At least in the first several years, the Freshman class only had a group shot. Interestingly, also in those early years, clubs were represented by each member’s individual photo—instead of a group pose. Color photography started in 1949 for the Beauties. With each decade as the cost went down, more full color was used. 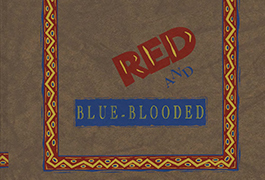 In 2003, the yearbook was in all color. 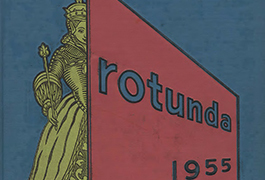 To see, touch, and browse copies of the actual Rotunda, please visit the Fondren Library. The call number for the books is LD5101.S3655. Several other libraries on campus also have copies of the Rotunda. 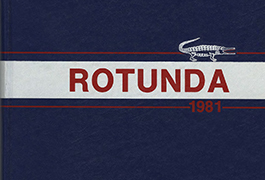 From 1930-2018, the Rotunda was published under Student Media Company (SMC), SMU’s independent, student-led publishing company. It was announced in April 2018 that SMC would shut down. As of June 1, 2018, the SMU Division of Student Affairs took over production of the Rotunda Yearbook. Working alongside students and alumni, Southern Methodist University is committed to keeping the Rotunda alive and ensure the quality of future publications. For more information about current Rotundas, contact contact Jorge Juarez at 214-768-3368 or at jcjuarez@smu.edu. Due to the limitations of optical character recognition (OCR) software and file size restrictions, not all text in these items may be fully searchable. The best way to view and search them is to download them using the light blue "Download" button in the upper right corner of the online reader. Scanning and original hosting of the 1916-2005 Rotundas was made possible by a generous gift from Richard Ware, SMU class of 1968. The project was done for the SMU Centennial Celebration, 2011-2015. During the campaign, the Rotundas were used by alumni, SMU students, alumni, faculty, staff, and genealogists from 2012 to 2017. In the summer of 2017, the SMU Archives, the Norwick Center for Digital Solutions, SMU Libraries, and the Student Media Company worked together to update the collection and move it to CONTENTdm. The Southern Methodist University Archives serves as a research repository for the official administrative and historical records of the University. In addition, the Archives serves as the collective memory of Southern Methodist University. 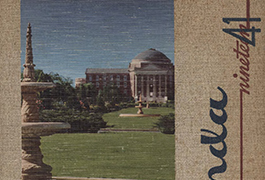 Material in the SMU Archives consists of non-current university records, regardless of medium, generated by faculty, staff, and students while conducting the business of this institution. This material includes office files, minutes, photographs, films, correspondence, artifacts and memorabilia, publications, scrapbooks, blueprints, oral history tapes, and manuscript collections. All materials published on this web site, The Rotunda, or its affiliates and/or partners are protected by copyright law under U.S. copyright and other international laws. All materials appearing on this web site are the property of Southern Methodist University. You may not copy, reproduce, distribute, publish, display, perform, modify, create derivative works, transmit, or in any way exploit any such content, nor may you post nor distribute any part of this content over any network, including a local area network, sell or offer it for sale, or use such content to construct any kind of database For more information, contact the SMU Archives at degolyer@smu.edu.